Joseph Peter Drennan is committed to the pursuit of justice and the preservation of law and order. ALEXANDRIA, VA, October 03, 2018 — Marquis Who's Who, the world's premier publisher of biographical profiles, is proud to present Mr. Drennan with the Albert Nelson Marquis Lifetime Achievement Award. 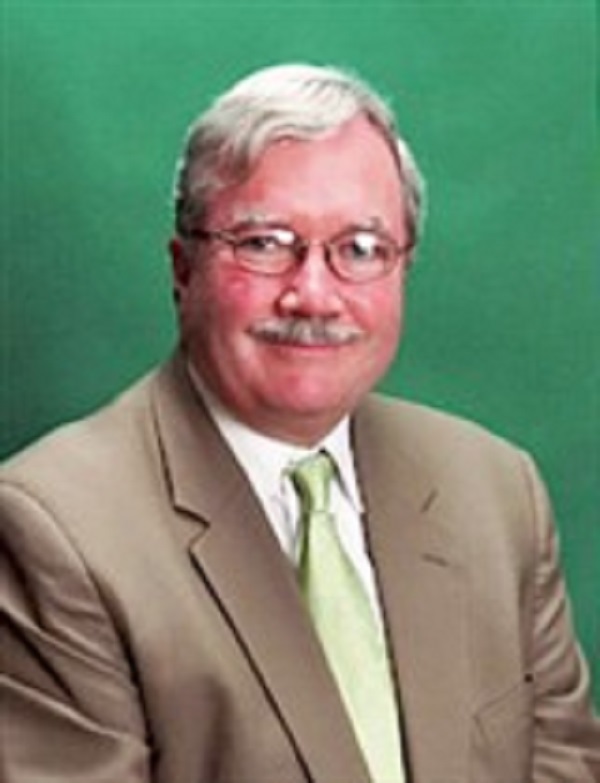 An accomplished listee, Mr. Drennan celebrates many years' experience in his professional network, and has been noted for achievements, leadership qualities, and the credentials and successes he has accrued in his field. As in all Marquis Who's Who biographical volumes, individuals profiled are selected on the basis of current reference value. Factors such as position, noteworthy accomplishments, visibility, and prominence in a field are all taken into account during the selection process. Committed to the pursuit of justice and the preservation of law and order, Mr. Drennan tenaciously works as an attorney and counselor. His bar admissions are many, first earning eligibility to practice law in 1981 in Washington, D.C. Mr. Drennan's bar admissions include the United States District Court for the District of Columbia in 1983, the United States Court of Appeals for the Federal Circuit in 1983, the state of Virginia since 1984 and the United States Court of Appeals for the District of Columbia Circuit in 1984. Additionally, Mr. Drennan has been admitted to practice in the United States District Court for the Eastern District of Virginia in 1987, the United States Court of Appeals for the Fourth Circuit in 1987 and the United States District Court for the District of Maryland in 1990. Furthermore, his bar admissions include eligibility to practice in the United States Bankruptcy Court for the Eastern District of Virginia in 1991 and the United States District Court for the Western District of West Virginia in 2013. Most recently, Mr. Drennan practiced law before the Supreme Court of the United States since 2016. Upon graduating the University of Richmond in 1978, Mr. Drennan earned his Bachelor of Arts in political science, subsequently obtaining his Doctor of Jurisprudence in 1981 from the Catholic University of America. With experience in criminal justice law practice and procedure, health care law, civil rights law and constitutional law, he has privately practiced as an attorney and counselor at law in Washington, D.C., and Alexandria, VA, since 1981. Additionally, Mr. Drennan is knowledge able about copyright and trademark litigation, bankruptcy law, defense of claims under the Alien Tort Claims Act and litigation on behalf of victims of state sponsored terrorism. Recognized for his professionalism and legal prowess, Mr. Drennan is a member of many organizations. These organizations include the American Association for Justice, formerly known as the Association of Trial Lawyers of America, the National Association of Criminal Defense Attorneys, and the National Legal Aid & Defense Association. He also holds membership in the District of Columbia Bar, the American Bankruptcy Institute and the Virginia Trial Lawyers Association. Mr. Drennan uses his time and talents in other career related pursuits as well, holding the positions of adjunct faculty member at both Germanna Community College in Fredericksburg, VA , from 1995 to 2000 and the University of Baltimore from 2007 to 2013. Mr. Drennan attributes his enormous success to his education and mentors, currently working on a book on the life and times of the Ambassador J. Rives Childs. Mr. Childs had a distinguished career of more than 30 years in the American Foreign Service and was an expert on Giacomo Casanova, the 18th century Italian adventurer and libertine. Granting a rare interview during Mr. Drennan's college years, Mr. Childs continued to influence him throughout his career. Since his youth, it was apparent that Mr. Drennan would be an attorney. His first teacher, a Sister of the Order of Saint Joseph, called his mother in the second grade and apprised her that her son would grow up to be an exceptional attorney. True to her assessment, Mr. Drennan found enormous success in the field of law and is unable to define one specific highlight of his career due to the numerous amount of noteworthy occasions he has experienced. Mr. Drennan's family includes his late parents, Richard Peter Drennan and Ann Marie Drennan, and his wife, Adriana Sonia Drennan (née Miramontes). His children are Patricia Solange, Monica Adriana and Michael Robert II. In his spare time, Mr. Drennan enjoys cycling and flying. In recognition of outstanding contributions to his profession and the Marquis Who's Who community, Mr. Drennan has been featured on the Albert Nelson Marquis Lifetime Achievement website. Please visit www.ltachievers.com for more information about this honor.